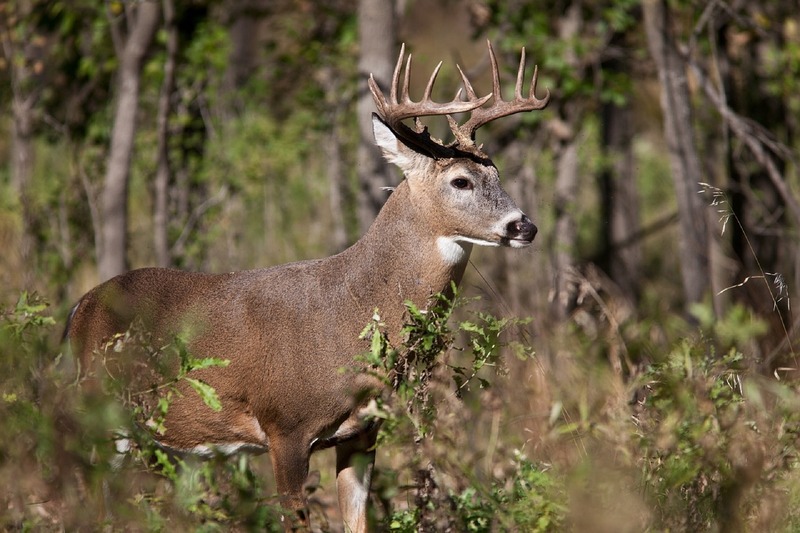 With Hunting Season fast approaching, it’s time to gear up and get ready! Not only is it important to have the right equipment and apparel, but it’s also critical that your hunting trailer and everything in it is prepared for the terrain, conditions and demands of the hunt. Here’s a checklist to help you get ready! Check for loose bearings, cracked brakes and faulty electrical wiring and lights. Inspect axle bearings and regrease them. Make sure that you install new grease seals every time you service your bearings. Check the tow ball, wire harness and hitch when hooking up. Examine lug nuts every 300 miles. Recommended torque is 100 lbs. Check your battery fluid and test to make sure it’s in good condition. And always take the time to do a walk around inspection prior to hitting the road! Brake shoes can fail and crack regardless of age or use. Drum brake heat and friction can lead to cracking that may go undetected until brakes fail, potentially resulting in bearing problems and even axle damage. Not only is the proper pressure important, but so are age and wear. 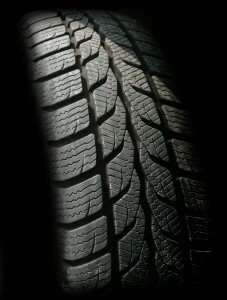 Have your tires been on your trailer for 6 years or more? Time to replace! Doesn’t matter if they’ve been on the road or in storage, 6 years is the life of the tire. Don’t risk it when you’re out in the wild. Replace! Outfit your trailer with tie down systems, cabinetry, interior and exterior lighting. Consider upgrading to LED lights. Add an on board battery to your interior lights work without vehicle attachment. No matter what make, model or year of your trailer, there are customization options available to help you create your perfect hunting trailer! Take a tour of Chad Belding’s custom hunting trailer here! Protect yourself and others with a secure on board gun safe that secures weapons, ammunition and valuables while out in the wild. It’s also a good place to store valuables and important documents, like licenses and permits. Equip your trailer with a first aid kit, flares, emergency food and water supply, flashlights, batteries, rope, tool kit, thermal blankets and even a portable battery-operated AM/FM radio with weather band, designed for long range reception. Don’t forget a trailer jack and lug wrench for flat tire repair! Consider a Travel Insurance Policy. No matter how well-prepared and careful you may be, hunters meet with misfortunes that often are not of their own doing. Wilderness evacuations and emergency medical treatment can be costly, but are covered by travel insurance. Many policies also provide 24-hr. emergency service along with other travel services. Inform family and friends of itinerary, complete with planned route maps and overnight stops, along with contact phone numbers. Slow down! Adapt to extra weight and length that affects not only stopping distance, but also distance needed for safely passing other vehicles. Use well-placed sideview mirrors to keep trailer in sight. Maintain proper tongue weight on your trailer. Towing problems most often arise from lack of weight or too much weight on the trailer tongue. Weight should be displaced 60/40 from center of axle. 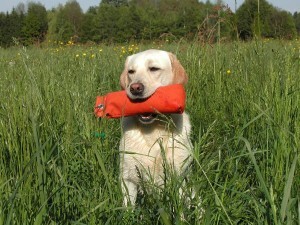 Hunting dogs should wear hunter orange or a high visibility color on a vest, leash, coat or bandana. Make sure that there is a sturdy collar with ID tag, including phone number with area code, and microchip identification is in place. 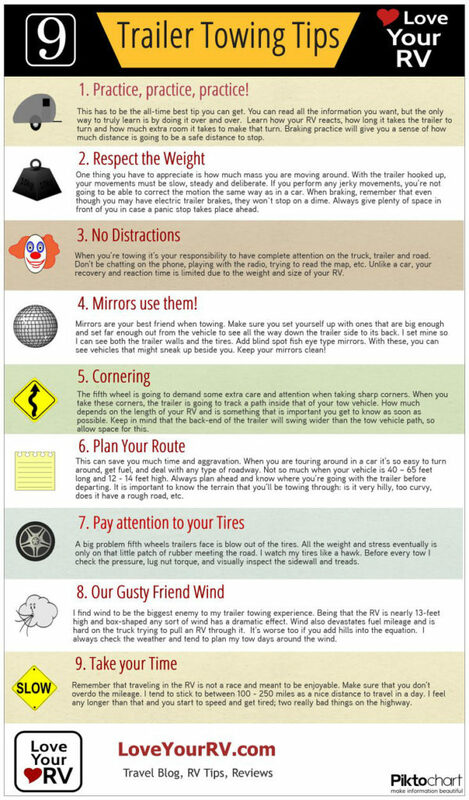 Before you hit the road, review these Trailer Towing Tips from our friends at LoveYourRV.com.